The person next door spends an average of $80 a month. On average, New Hampshirites are paying $1,878 every month on homeownership costs. There are 650,000 homes in the Granite State, 77% of which are occupied by owners. White Mountain National Forest, picturesque granite formations and part of the Appalachian are all found in New Hampshire who is known for its natural beauty. New Hampshire's geography also gives it some environmental factors: ice dams, winter storms and elevated radon levels that may pose a threat to homeowners. The average premiums in New Hampshire is close to the national average premiums. Of course, premiums depend on a lot of factors. The age of your home, construction materials, the homes location, the value of the contents and the discounts available on the deductible amount all affect premium rates. Some locations have higher or lower premiums than others. For instance, the residents of Granite are so lucky to pay premiums lower than the average national premiums. According to Information Insurance Institute (III), in 2016 (latest available data) the average annual homeowners insurance premium in New Hampshire is approximately $965. The figure is slightly lower than the national income which is $1,192. Based on these figures provided by the III, a policyholder in New Hampshire will pay approximately $227 less yearly for a HO-3 policy than the average American would. Taking the numbers above, residents of NH on average pays $80 every month in home insurance premiums. On the other hand, the nationwide’s average is approximately $99 for monthly home insurance payments. Take note that the exact amount one will pay varies due to multiple factors at play, like the size and age of the home and its exact location in New Hampshire, to name a few. To determine the best home insurance companies in New Hampshire, we looked at III’s table of home insurance providers that hold the largest market share in-state along with researching their customer service, discounts, claims processes, and company endorsements. With a market share of 14.8 percent, Liberty Mutual is considered one of the most popular home insurance providers in New Hampshire. Liberty Mutual’s 24-hour emergency home repairs service is one of the factors that puts it ahead of its competition, in our view. The company has customized coverages and pays attention to the details. It is one of the companies in the region that great ratings from different ranking companies. With a total of a little more than $60 million in written direct premiums in 2017, AM Best rated Liberty with an A (Excellent). Standard and Poor’s rated the company with an A (Strong). Based on these ratings we conclude that Liberty Mutual has displayed financially stability over the years and has a good record of covering expenses when claims are filed. On the satisfaction of customers and general overall performance, JD Power gave Liberty Mutual a 3 (About average) out of 5 Power Circle Rating. In addition, Liberty has an excellent online quote system tool. The quote process requests a client’s percentage of tile, carpet and other specifics of your home. In other words, the company familiarizes with the details of your home assets and history giving an accurate estimate. According to Hampshire Insurance Department, Liberty Mutual’s premiums are rated as one of the most affordable compared to the first top five companies in the industry. Apart from low premiums, Liberty Mutual prides itself with numerous discounts. Discounts include reduced premiums for the Alumnus of Southern New Hampshire University. The radon detector discount is also interesting as it is unique to Liberty home insurance customers only. State Farm is an all-round home insurance company. According to III, State Farm has the second largest homeowners insurance market share in NH at almost 10 percent. AM Best gave the company positive financial ratings of A++ (Superior). JD Power gave the company 3 (About average) out of 5 Power Circles Rating on customer satisfaction from their 2018 US Home Insurance Study. Moreover, State Farm has a good website with an online quote tool, a learning center where people can read informational articles and get advice. State Farm has relatively higher premiums throughout the state compared to smaller and lesser known companies. State Farm does offer discounts so be sure to ask your agent if any apply to your individual case if you do decide to give this company a try. Allstate holds the third largest market share in home insurance premiums in New Hampshire at 8.5 percent. Using the data provided by III, in 2017, Allstate wrote a total of almost $35 million in direct home insurance premiums. AM Best gave Allstate an A+ (Superior) while S&P gave the company an AA (Very strong) in financial strength. For customer satisfaction, which is important to look at as it usually reflects a company’s claim payout abilities, we look to JD Power’s 2018 US Home Insurance Study where Allstate scored a 3 (About average) Power Circles Rating. The ratings mean that Allstate has a stable financial position that can enable the business to stay afloat for the longest time possible while meeting their client's demand. The customer and overall performance is comparable to reputable companies in the nation. Other companies may need a client to get into their website and do a thorough search on the endorsements, coverage and discounts. On the contrary, Allstate has the easiest website that you can easily navigate without being lost. The coverage, discounts, policy features and optional coverage are all explained in one location. The common Costly Tool is one of the unique features that make Allstate stand out from other competitors. The feature allows a customer to type their Zip code and observe the claims that has been around them. For instance, common claims found in Zip codes through New Hampshire were physical damage and water damage. Another feature is the Good Home Report. The report plays an overview of google street view video of the client’s home. While taking the street view, the report highlight potential hazards data, potential risks and tips on prevention. We’ve also found that compared to other companies in the region, Allstate offers more discounts on deductibles. It’s surprising that Allstate has eleven different discounts that homeowners can choose from. The discounts include a 10 percent off on home insurance for the first two years. In addition, there is one for 5 percent discount when they make payments through automatic checking or savings account. Finding the right coverage and the right price from a reliable insurer will not only save you money but will also give assurance that the company can perform and pay claims in the event a disaster strikes incurring unforeseen high costs from damages and repairs. Recently, New Hampshire has become prone to harsh weather conditions that may affect premium rates for homeowners. A report from the New Hampshire Department of Safety reported an increase in coast flooding, flash flooding and river flooding. It is therefore safe to have your property covered by taking an insurance policy although flood insurance is not usually covered in a standard policy, an important thing to note especially if you live in high-risk areas. With an average annual rate of $941 annually, the cost of New Hampshire homeowners insurance is less than the national rate, which is approximately $1,173 per year. 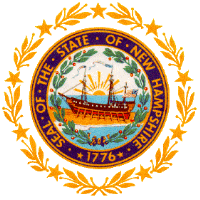 New Hampshire is the 36th most expensive US state for purchasing home insurance. According to the US Census Bureau, a little over 70 percent of homes in New Hampshire are owner-occupied, which exceeds the national average of 63 percent. Thirty-two percent of mortgaged homeowners spend 30 percent or more of their annual income on costs associated with home ownership; nationwide, New Hampshire ranks 10th in this category. New Hampshire home insurance rates vary based on geographic location, so where you live plays a role in determining your annual premium rates. In general, living in southern New Hampshire is less expensive than living farther north. Living in or close to one of New Hampshire's major cities can save money on your home insurance policy. In addition to location, the age of your house can affect your insurance rates. As a general rule, older homes are more expensive to insure than newer homes. When choosing an insurance provider, there are other factors that may lower your premium rate. Some companies offer discounts if you bundle your insurance with another policy, such as auto insurance. You may also find that a company will reward you by switching to their policy from a competitor before your existing insurance expires. Having a home outfitted with safety features, including smoke alarms and burglary systems, can reduce your premium rates too. If you are moving into a new home or recently made improvements to an older home, ask about any potential discounts for having a new or renovated structure. Some New Hampshire insurance companies offer better rates for homeowner insurance shoppers who have a claim-free history. When comparing plans, it is a good idea to have your employer's insurance information on hand. You might get a lower premium by purchasing homeowners insurance through the same insurance company that your employer has. New Hampshire residents may also receive incentives for having LEED certified "green" homes, which can reduce premium rates by up to 5 percent. Statewide, your rates may be affected by the type of structure in which you reside. Annual premium rates vary in New Hampshire depending on whether you live in a single-family home, a mobile home, or a farm or ranch. Some companies offer additional add-on coverage for specific risks associated with certain residential types, such as working farms and ranches. Your premium rates will cost more if you have an all-event type of coverage, which protects your home against loss in all situations, as opposed to an event-specific policy that compensates for damage based on loss for a specific event, such as fire or wind and hail damage. New Hampshire insurance providers do not usually provide homeowners insurance that covers damage from flooding. This is an important factor to consider when shopping for insurance, as you may need to buy additional protection if you are in a flood-prone area. This supplemental insurance is offered at the federal level although you may find better deals if the insurance provider you choose has a flood coverage add on offer.